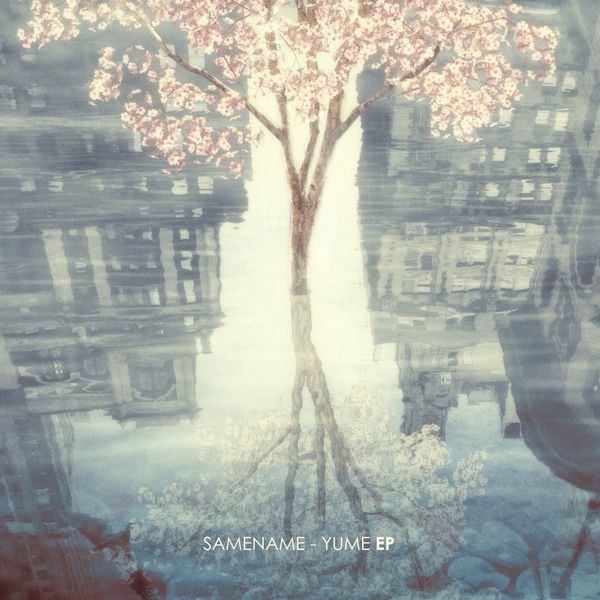 Eagerly-awaited solo debut of dense, dynamic Grime productions from Manchester-based artist Samename. Combining inspiration from OG grime, Japanese anime, film soundtracks and plugged-in culture generally, his 'Yume' EP slots neatly into an active field presently shared by the likes of Murlo, Swingting, Her Records, Sulk, or Gobstopper Records. 'Sakura' starts up with plush sino-grime harmonies and simulated ambience structured around a mean, slicing grime pattern at 130bpm. 'Nuriko' is more aggressive, dramatic take on Jon E Cash styles, and 'Shinigami' ramps to a densely arranged 155bpm madness practically compatible with soca and footwork riddims. Best of all, the most stripped-down joint, 'Gishiki' models sparring, technoid grime patterns ina morphing sound design shot up with etheric gamer FX and samples to cinematic effect. TIPPED!